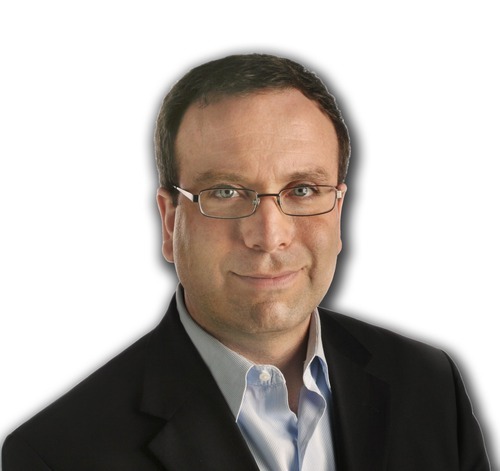 Milbank: Protest motto: Soup&apos;s on! WASHINGTON  When authorities got wind of a demonstration planned for Monday outside the Food and Drug Administration&apos;s offices in College Park, Md., they fortified their defenses. They needn&apos;t have. The demonstrators, demanding that the FDA require the labeling of genetically modified foods, hadn&apos;t come with violence in mind, or even civil disobedience. They had come to cook a 50-gallon vat of soup on the sidewalk and then consume the stuff  a first-ever "eat-in" at the FDA, they said. There were no foul-mouthed anarchists dressed in black  just the sort of well-heeled crowd you&apos;d come across at Whole Foods. "I packed up my kids&apos; lunches and drove from Boston to Hartford to ride a bus for five hours," Kristi Marsh told the crowd, using the sound system to recount her trip to Monday&apos;s protest. She wore a chef&apos;s hat hand-lettered with the words "Everyday Mom." "I&apos;ve never, ever protested before," Marsh told me after her speech. "I was nervous. I had these visions of overturned buses and policemen dressed up like storm troopers. But when I saw part of the labor was to commit to no alcohol, no drugs, no violence, then I thought, &apos;I want to be present.&apos;"
This is the face of the new protest movement  or at least organizers hope to make it so. "We wanted a comfortable event," Tom Llewellyn, the 30-year-old organizer, said of the FDA action, billed as "a day of sunshine and picnic-style protest" against GMOs, or genetically modified organisms. "It&apos;s all about who you&apos;re appealing to. There has to be a face of the movement for every single demographic to connect with." Taking a page from the gay-rights playbook, other causes on the left are holding fewer of the disruptive protests of recent decades and opting for persuasion over confrontation. In part, this strategy reflects the failure of recent movements, such as Occupy Wall Street and the anti-globalization demonstrations, to turn protesters&apos; enthusiasm into enduring public support. The campaign against GMOs is typical: The movement has dropped its demand that such altered foods be banned, instead embracing the more reasonable goal of labeling such foods accurately. And activists are looking for non-threatening ways to broaden the cause&apos;s appeal. Llewellyn based Monday&apos;s event on "Stone Soup," a European folk tale about a traveler who persuades villagers to contribute to a communal meal. He borrowed the idea from peace activists of decades past, but made his a GMO-free soup. "I&apos;ve come here with this magical soup stone," he told the crowd of 60, which swelled through the morning as the soup boiled. "Hi, I&apos;m Tory and this is my grandmother Nettie. We brought carrots ... "
Another woman said, "My name is Erin O&apos;Maley. I&apos;m a chiropractor. ... I brought some zucchini." A woman from Atlanta, Jay, was one of several to call for the resignation of Michael Taylor, the deputy FDA commissioner who had worked at Monsanto, a major GMO producer. "I&apos;m a mother of an 8-year-old child and she&apos;s not a science experiment," the woman said. But as the soup simmered Monday, she told her fellow demonstrators that she would convert other mothers  "everyday me&apos;s," she called them  to the cause. "As long as you are out there doing this kind of stuff, I will be out there," she said. "And I will be educating the everyday me&apos;s, because that&apos;s the masses that you need your support from."